Fernando Arau, formerly of Univision's national morning show Buenos Dias a Todos, will be at Belmont University's Massey Concert Hall this Saturday, September 4, at 7:30 p.m. Arau will perform a live version of his Spanish-language show "Marriage: A Story of Science and Friction," which is out on DVD. The concert will benefit El Shaddai Christian Church, whose church building on Concord Road suffered heavy damage in the May floods. 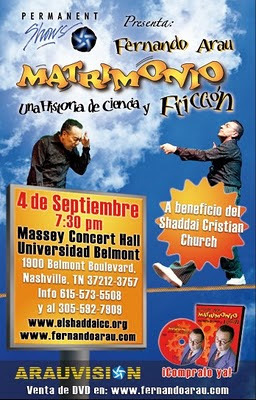 Massey Concert Hall is at 1900 Belmont Blvd., Nashville, TN 37212. More information is available at 615.941.8377 and at 305.592.7909. Tickets are available at Librería León de Judá, Radio Vida 1130AM, Radio Luz 900AM, Fellowship Bible Church or at www.elshaddaicc.org. Minimum suggested donations are $20, or $50 for V.I.P. Photo by audrey_sel. Licensed via Creative Commons. If you enjoyed the Tango scene from Al Pacino's movie Scent of a Woman or would like to experience authentic Argentinean culture, join us on Tuesday August 31st from 7pm to 10pm at the Wine Loft for an evening of tasty appetizers, wine sampling and sizzling LIVE Tango music & dancers from Argentina! All profits will benefit Caritas Argentina (www.caritas.org.ar), a charity institution that helps eradicate poverty and social inequity in Argentina. Tickets are $30 (food and wine inclusive) and are available only at the Wine Loft (Open 5PM to 12AM Tuesday Thru Sunday). Only 70 tickets will be sold for the event, so don't delay! Are these Hispanic Heritage Month events on your calendar? A Hispanic Heritage Night: WE ARE TN-SOMOS TN! The Tennessee Hispanic Chamber of Commerce (TNHCC)* will hold its August Business Networking Lunch today from 11:15 a.m. to 1:00 p.m. at Chappy's Restaurant, 1721 Church Street in Nashville. 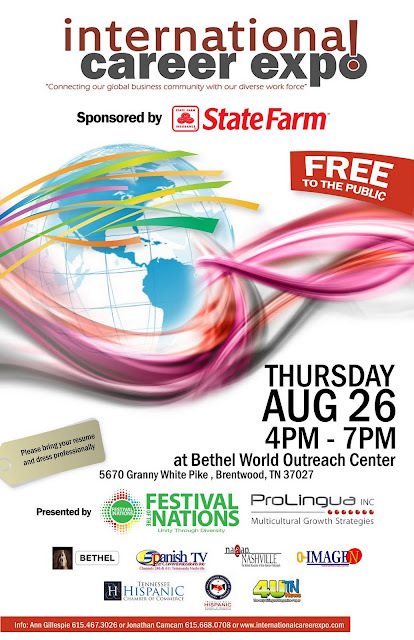 The event is free for members and $20 for non-members. The continuity of TNHCC networking events at Chappy's, which have been regular occurrences for over a year now, reminds me of the early days of this chamber after I returned to Nashville in 2000, when frequent networking events were the signature of the organization. Now, following the rebirth of the TNHCC in 2007 under the leadership of Ramon Cisneros, Tera Vazquez, and an active board, the networking events are just one part of this vibrant, multifunction group. The Chappy's lunches are well attended and well organized, but get there early. These are sit-down lunches, and you don't want to miss the table conversation before the program. 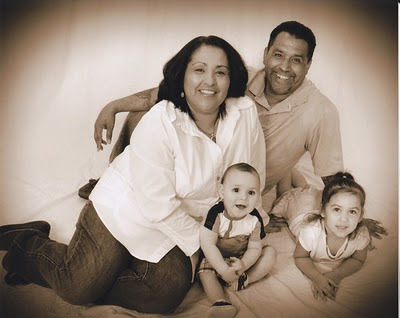 J.R. Lind, lead contributor of Post Politics, tells HispanicNashville.com that Hispanics aren't the only Nashvillians with possible immigration violations in their family tree (see previous stories about Gregg Ramos, Mack, and Ken Marrero). Lind's great-grandfather Robert "Bobby" Linn had five children on American soil while he was still "illegal," as Lind puts it, and the 14th Amendment made sure that those children were automatically and unquestionably American citizens. Two of Bobby's children fought in the second World War. More than 90 years ago, my great-grandfather - Robert Linn - left a village south of Glasgow for the bustling English port of Liverpool. There he boarded a ship - aptly named the Liverpool - bound for New York. He arrived in New York Harbor just as the United States had adopted the first "modern" immigration and naturalization laws. 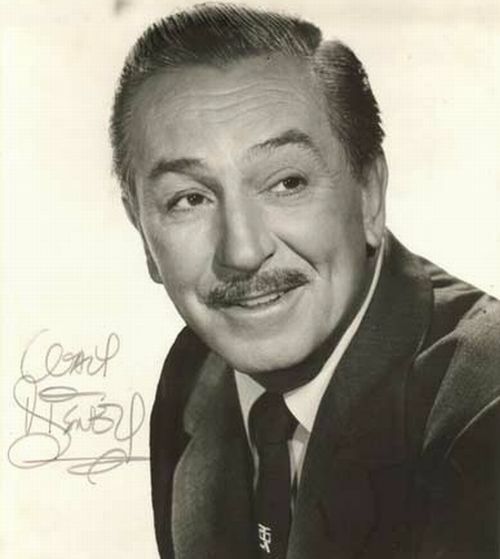 British subjects were not restricted under the quotas in place at the time and, by all accounts, Bobby could have received an "immigrant's visa," at the time the first crucial step on the path to American citizenship. For whatever reason, my great-grandfather did not. Instead he was issued the early 20th century equivalent of what we call a tourist visa. Nevertheless, Bobby made his way west, eventually settling in Iowa and overstaying that visa. He met and fell in love with a local girl. He changed the second N in his surname to a D, perhaps because "Lind" was a fairly common name among Swedes who were his neighbors and he wanted to fit in. His little ruse didn't quite work out. He wasn't "Bobby" to his German and Scandinavian neighbors - he was "Scotty" and "Scotty's Garage" became the go-to place in that little Iowa jerkwater for auto repairs as cars became more prevalent. In the meantime, Scotty served as a general Mr. Fix-It and made house with his tall, elegant farmgirl wife. The union produced five children. No one there seemed to care that Scotty wasn't exactly squared up with the immigration authorities. They just knew he could fix everything. They knew the Lind's clapboard house as a place to go to play cards. They knew the Linds had beautiful daughters and handsome, athletic sons. And no one called those kids "anchor babies." Two of those sons fought in World War II - my great-uncle was an airborne soldier in Europe and my grandfather - the greatest man I know - joined the Navy before Pearl Harbor, his destroyer leaving Hawaii just days before the attack. In less than five years, he was a Chief Petty Officer. He left the Navy, met a local Iowa girl of his own and started his own family before moving to Tennessee. It was a different time when Robert Linn stepped on the shores of America. Probably no one minded that the Scottish guy who could fix everything had overstayed his federally-mandated welcome. He was white and Protestant. He spoke English. But under the law, he was illegal. But his kids weren't, because of the 14th Amendment his two sons fought a war to defend. 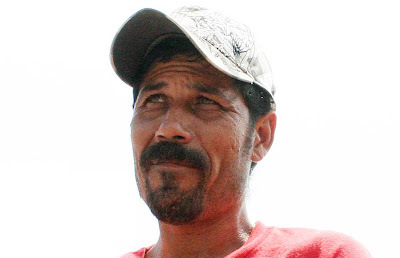 Editor's Note: Three other Nashvillians who were born in the U.S. to a parent who can't confirm legal immigration status are Gregg Ramos, Mack, and Ken Marrero. Click on their names to read their stories. 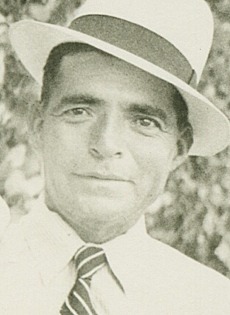 During World War II, more than 300,000 Mexican-Americans, including my Texas-born father, who was the greatest American I have ever known, served our country in the armed services. They did so because of the promise that America is the land of the free, the land of opportunity. They placed their unquestioned trust in this great country in the belief that as a result of their service, bravery and sacrifice, the promise of what it is to be an American would continue to thrive. 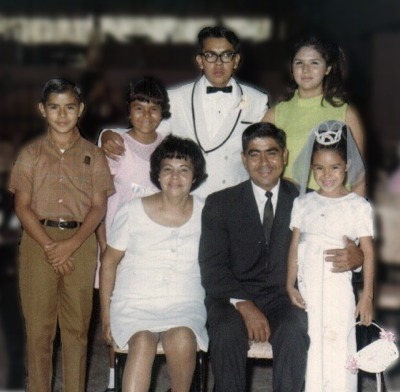 The reason I keep mentioning my father is that he, as well as thousands and thousands like him of his generation, may very well have been the so called “anchor babies” (I hate that term) of their time. My Dad was born in 1924 in El Paso, Texas, to Mexican nationals. He was born in El Paso because his father and mother (my grandparents) happened to be working in or near El Paso at the time. There was no border control in those days and people just crossed the border back and forth depending on where work was to be found and where they were needed. My Dad never knew for sure, and I certainly don’t know now, whether or not his parents (my grandparents) were properly documented in the U.S., leading me to wonder if my father, who turned out to be a great, great American and who helped defend the U.S. in WWII, was one of those so called “anchor babies.” Going back and forth from Mexico to Texas and vice versa, and always being around poor people who spoke only Spanish, resulted in my Dad not learning English until he found himself in the U.S. Army (he was drafted in 1944 at age 20 and was shipped to France in 1945, ultimately landing in Germany sometime in March of 1945). This was not an unusual situation at the time. Our former U.S. Attorney General, Alberto Gonzalez, acknowledged during a CNN interview in 2006 that he too was unsure about the immigration status of his grandparents (who, by the way, hailed from the same part of Northern Mexico – Chihuahua – as my grandparents). Indeed, this was the situation of many, many of the 300,000 plus Mexican-Americans who served in WWII. So, just a bit of background. Now you can perhaps see why this 14th amendment issue hits so close to home for me. Editor's Note: Three other Nashvillians with similar stories about an ancestor's immigration status are J.R. Lind, Mack, and Ken Marrero. Click on their names to read their stories. 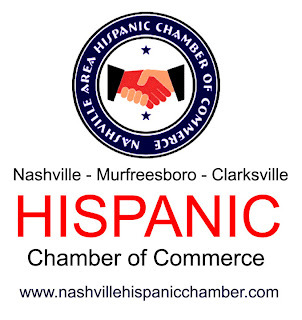 The Nashville Area Hispanic Chamber of Commerce* has expanded into Murfreesboro. The Executive Director of the new Murfreesboro area chapter is Cameron Parrish, who has worked with the Hispanic community via the U.S. Census Bureau, according to the Daily News Journal. 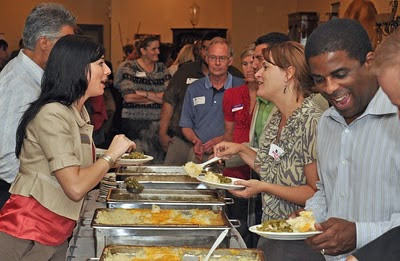 An "After Hours Networking Event" is scheduled for Thursday, August 19, at 5:30pm at Bobby McKee's in Murfreesboro. The Murfreesboro Post reports that "meetings of the local chapter are held every Tuesday at 7 p.m. at España at 211 W. Main St., just off the Public Square." The Post article also quotes España owner Gilberto “Beto” Mendoza and Yellow Taxi Plus owner Carolina Rivas about the benefits of membership. Rivas also owns Checker Cab in Nashville and was among seven taxicab company owners who received a certificate of appreciation for making the post-flood CMA Festival flow smoothly. "We have a new shop here, and we want to reach out to the Latino community and let them know there's a place, not specifically for them, but it's a place where they can come. We speak Spanish, and want to create a diverse shop," Coriano explained, adding that both he and Guzman have Puerto Rican roots. The Daily News Journal also reports that a Tennessee State University study shows that there are 1,400 Hispanic-owned businesses in the Nashville area. I've told you about my immigration bankruptcy idea before, haven't I? In U.S. law, bankruptcy is just one of many examples of a principle of justice that Americans cherish, which is that the law should offer a reboot from time to time. Bankruptcy is one example of that principle. You get bankruptcy law when you abolish debtors' prisons, and you abolish debtors' prisons because you are better off as a society if people can get a fresh start in the worst of circumstances. Admittedly, those circumstances were their fault because they failed to fulfill a legal obligation, but punishing them by sticking them in a hole that separates them from society doesn't do anyone any good. They can't repay their debt that way. Bankruptcy law provides the necessary fresh start, or "reboot." Do we condition the fresh start of bankruptcy on payment in full of the original debt? No. We acknowledge that the responsibility to fulfill the original obligation will be forever broken. In place of the original obligation, we establish rules that determine what bankruptcy will cost you. If you qualify and follow the bankruptcy rules, you get out of limbo. So even while we still have a system that generally requires you to pay your debts, there is an exception built into the law, a second option of rules, consequences and penalties to replace the first. This reboot principle has to be brought over to immigration law. I tell Christians that justice for the foreigner means that when you write laws that apply to foreigners, you need to use the same principles of justice you use when you write the laws that apply to you. Immigration law is a law that is specifically and exclusively applicable to foreigners, so the gaping hole of justice in that law - the lack of a reboot - has to be patched. Patching up immigration law can't be done with a one-time path to citizenship (the proposal currently on the table), or a one-time amnesty (Ronald Reagan's approach). The fresh start of getting right with the law has to be continually available in immigration law, just as it is in bankruptcy law. The Congress shall have Power To...establish an uniform Rule of Naturalization, and uniform Laws on the subject of Bankruptcies throughout the United States. So that's my not-so-new idea: immigration bankruptcy. Succesfully exiting "bankruptcy" would grant legal permanent resident ("LPR" a/k/a "green card") status, which typically lasts 10 years and is renewable (Damariz was in this status from 1998-2010, for instance). LPRs can apply for U.S. citizenship after 5 years as an LPR, but I'd be comfortable making these bankruptcy beneficiaries wait twice as long before eligibility. Accordingly, the earliest a person would be able to apply for U.S. citizenship would be after 15 years - 5 years of best behavior while in the country illegally, then 10 years of best behavior while in the country legally. If I were President, I'd sign this in a heartbeat, and any reasonable variation. My cousin said I was being a hard-a$$. Update 2: Who would be deported under this system? Easy: anyone who hasn't successfully filed immigration bankruptcy. That would include, for example, anyone who had been here without permission for as little as one day or as long as 4 years and 364 days (or longer if they don't file bankruptcy by then), people who commit real crimes, people who prefer to live outside the system and don't file for the protection of bankruptcy, people who can't scrape up the money in fines, people who lie about or hide the information requested in the immigration bankruptcy petition, etc. Update 3: Timothy Lee talks about this same principle over at The Atlantic. "I am proud to be the first Latino to be elected as a county commissioner in Montgomery County"
"I am a Chicano and proud of who I am and am as American as you can get"
"Celebrating my culture is not being un-American; it is the American way"
According to Vallejos, he is the first Hispanic commissioner of Montgomery County. 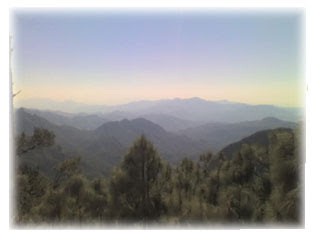 Vallejos was born near Roswell, New Mexico, and his family roots in America trace back to 1598. The 2010 County Commission election is not Vallejos' first foray into politics. In 2006, Vallejos opposed a trio of local immigration-focused ordinances. We were successful in stopping these ordinances from being passed. The success of this ordeal gave H.O.P.E new found respect among politicians. From this experience I knew I would one day ran for office. My success was that I went door to door and made it personal. So many knew me or had heard of me and my involvement in the community. I founded a homeless shelter that today houses 41 men fighting drug and alcohol addiction. So my community-minded actions were one big plus. My race or ethnicity never came up nor was a issue. Still, I am proud to be the first Latino to be elected as a county commissioner in Montgomery County. I believe the likelihood of more Hispanic men and women being elected to office is possible because we are all Americans and should dream and dream big. So many politicians are using Latinos as a political piñatas. I never allowed that to be a determining factor in my decision to run for office. I am a Chicano and proud of who I am and am as American as you can get. I will never deny my culture or where I came from. We must all be Americans and stand as Americans, but don't be hating because I have my culture. Celebrating my culture is not being un-American; it is the American way. Tommy Vallejos was born in the barrios of Roswell, NM. His upbringing was filled with gang violence’s losing two brothers and a stepfather to the streets. Tommy’s only out was to enter the US Army in 1980. 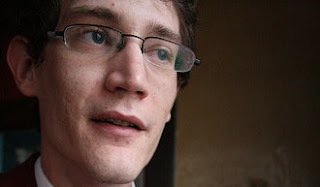 He has been married to his bride of 27 years Caroline Vallejos. Tommy’s lifestyle continued to change when he became a Christian in 1987. As a Staff Sergeant in the US Army he fought in the first Gulf War leading an infantry platoon from the 101st Airborne Division into combat. He was award the Bronze Star for actions in the Gulf War. As a Sergeant First Class he served three years as a Drill Sgt at Ft Knox, Ky turning civilians into soldiers. His overseas tours included tours in Panama and Germany. He retired with over 21 years of service to his country. Today he serves in two capacities one as a care pastor over a 2200 member church in Clarksville, Tn, also he is the Director of H.O.P.E. (Hispanic Organization for Progress & Education. He is active in community services and travels the country and world spreading the word as an Evangelist or as a Gang Awareness facilitator (www.clarksvillesecure.net). His travels take him into the prison system, school and business community several times a month. Because of his influence, he has the ears of the community and politicians’ alike. He is instrumental in assisting communities to fight back against gangs and the violence’s it brings. 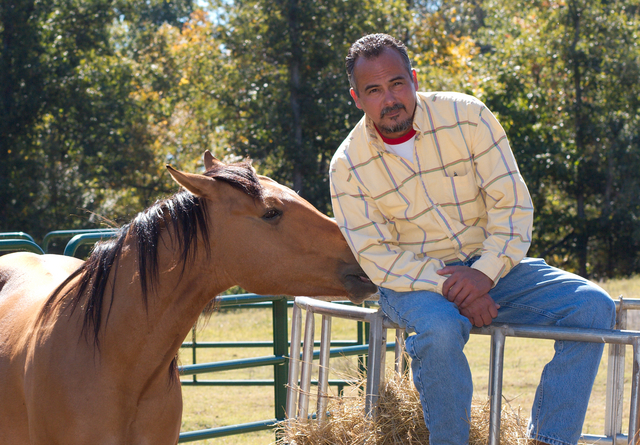 Tommy is a graduate of the North Tennessee Bible Institute and Seminary with a Bachelor in Practical Theology. Photo of Mack by Chris Wage. Used with permission. Children born in this country - even those born into families with immigration problems - are automatically and inherently U.S. citizens, via the Citizenship Clause of the 14th Amendment of the Constitution. Among those American children with immigration problems higher up their family trees are conservative Nashville blogger Ken Marrero of Blue Collar Muse, and liberal Nashville blogger Mack of Coyote Chronicles. Fortunately, the naturalization process was simpler then and his marriage to my mother was sufficient to get him his citizenship. Dear Congressman Hunter, after reading your assertion that it “takes more than walking across our border to become a citizen; it's what's in our souls,” I thought I’d introduce you to a couple of people I know pretty well. See, I am a child of undocumented immigrants. ... I know all too well that it takes more than walking across the border to be an American. I dare you to look me in the eye and tell me that my parents lacked something “in their souls.” Any man that would seek to deport native-born children for ANY reason deserves to have the content of his own soul called into question, if you ask me. I would ask Marrero and Mack to comment on the 14th Amendment for this story, since the issue is so personal to them, but from the above, it appears they already have. Nashville's YMCA Latino Achievers (formerly YMCA Hispanic Achievers) recently announced a 100% high school graduation rate, 57 student acceptances to institutions of higher education, the departure of Director Jessie Garcia Van De Griek, the promotion of Carol Cubillo Seals as Jessie's replacement, and the addition of Kathleen Fuchs as full-time coordinator. The statement is below, and following the statement is an interview of Jessie by Cristina Allen on her program ¿Qué Pasa Nashville? 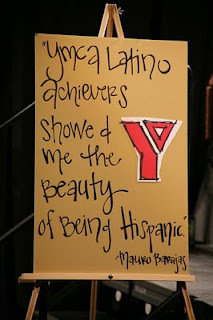 YMCA Latino Achievers has had a great year. 100% of participating high school seniors graduated from high school from Middle Tennessee high schools. 57 young people have applied for and been accepted to several Tennessee colleges and universities. 487 young people learned the college process, had an opportunity to attend college tours, World of Work Tours, participated in a World of Work Seminar and were mentored on the importance of cultural heritage. Our students had the opportunity to go to a motivational seminar called La Sangre Llama, visited the Frist, and engaged with many of our community partners to experience the responsibility of becoming leaders in their communities. The award totals just over $2 million for four years, an increase of 30% in our funding. Our previous designation was as an Undergraduate NRC and now we are a Comprehensive NRC, the top category. We will be able to fund additional graduate students through our Foreign Language Area Studies program and strengthen all of our teaching, outreach, and service programs. The U.S. government's NRC program is designed to promote "a national capacity" in foreign languages and international studies.